Although a member of the 1 Series family, the sedan is far from being identical to its hatchback sibling. While some characteristics are indeed similar, the 1 Series Sedan is actually closer to the Concept Compact Sedan that BMW unveiled in 2015 as far as styling goes. The front fascia is almost identical to the concept, including elements such as the headlamps, grille and bumper. Here is where we can spot several features that set the sedan apart from the hatchback, starting with the slimmer, sportier headlamps, the revised center bumper intake with horizontal slats, and the flatter side vents. The front fascia is almost identical to the concept, including elements such as the headlamps, grille and bumper. As we move onto the sides, we can see key design elements from the hatchback, such as the beltline that runs from the front wheel arch to the taillights while passing through the door handles and an almost identical side skirt. But the similarities end behind the rear door, from where the 1 Series Sedan becomes a three-box vehicle rather than a hatchback. 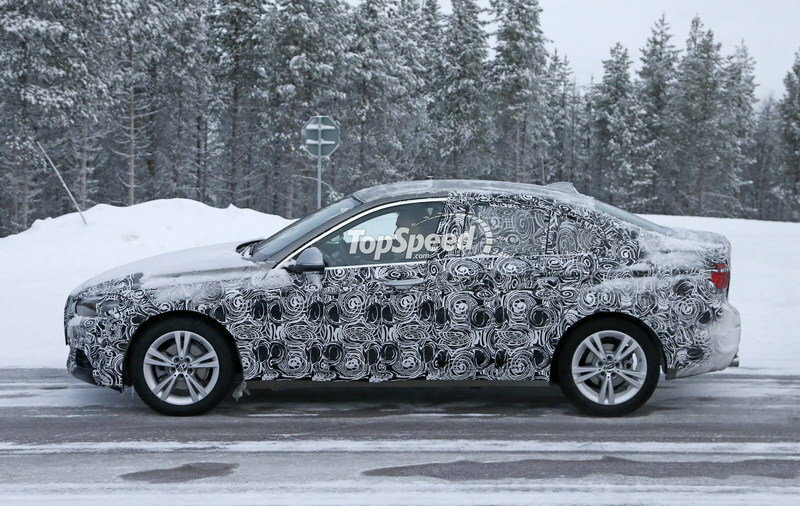 It’s actually a notchback-style car with a rather short decklid, but the changes are more than obvious. 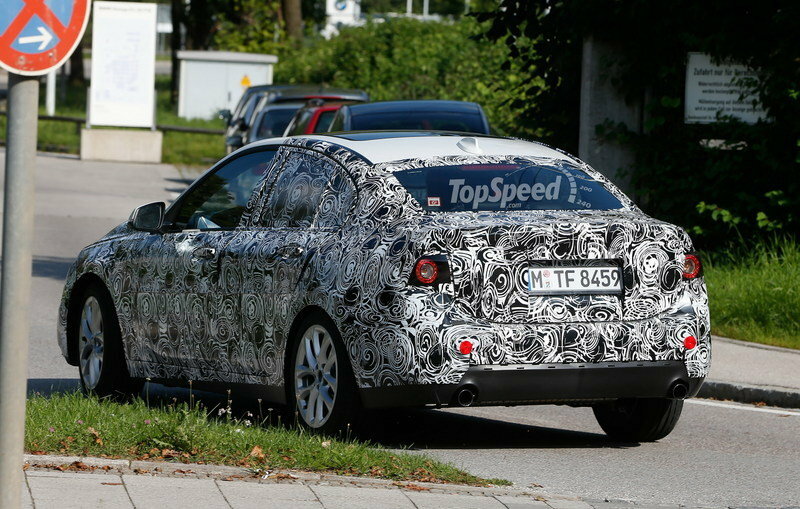 The taillight design is based off the current 1 Series hatchback, as is the upper bumper section. Around back, the 1 Series Sedan seems to be a compromise between the hatchback’s simple, straight forward design and the Concept Compact Sedan’s sportier styling. The taillight design is based off the current 1 Series hatchback, as is the upper bumper section, which sports slender red lamps. The lower part is new and very simple, lacking the sporty diffuser we see on most Bimmers. Instead, it comes with a body colored element that houses an exhaust pipe at each corner. Overall, the 1 Series Sedan is nothing to rave about, but that’s not to say it’s a boring design. Although very familiar with the current lineup, the four-door checks all the right boxes as far as originality goes. Not to mention that it’s not the shrunken 3 Series I expected it to be. 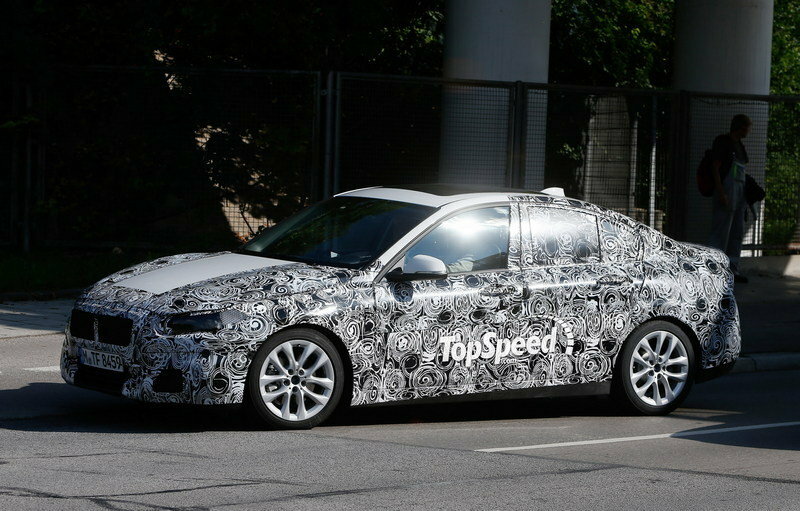 All told, I think that it previews the styling of the third-generation 1 Series, due to arrive in a little while. As far as dimensions go, the 1 Series Sedan measures 4,456 mm (175.4 inches) long, 1,803 mm (71 inches) wide, and stands 1,446 mm (56.9 inches) tall. Compared to the hatchback, it’s 132 mm (5.2 inches) longer, 38 mm (1.5 inches) wider, and 25 mm (one inch) taller. On the other hand, the sedan’s wheelbase is actually 20 mm (0.8 inches) shorter at 2 670 mm (105.1 inches), despite BMW bragging about the car’s "elongated, sporty look." 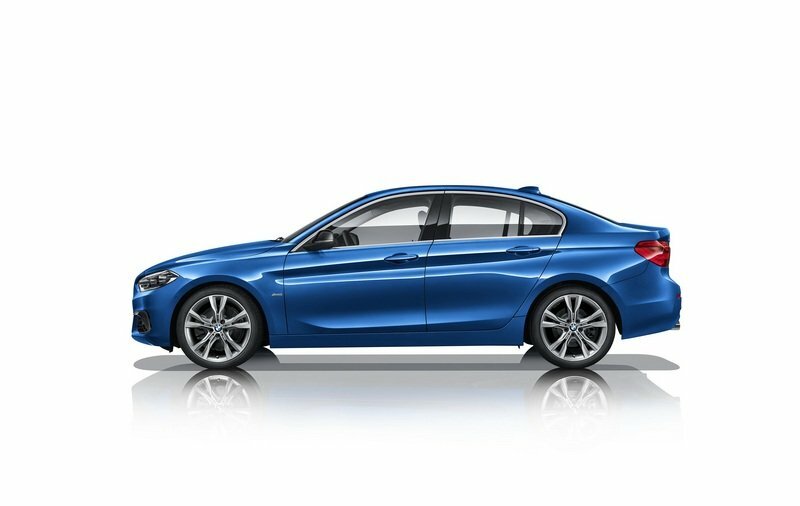 Compared to the closest sedan in the lineup, the 3 Series, the 1 Series is 168 mm (6.6 inches) shorter, only eight mm (0.3 inches) narrower, and 17 mm (0.66 inches) taller. The wheelbase is also 140 mm (5.5 inches) shorter. Mercedes CLA pictured on the left, Audi A3 Sedan pictured on the right. Mercedes-Benz was the first of the three German automakers to introduce its compact sedan. 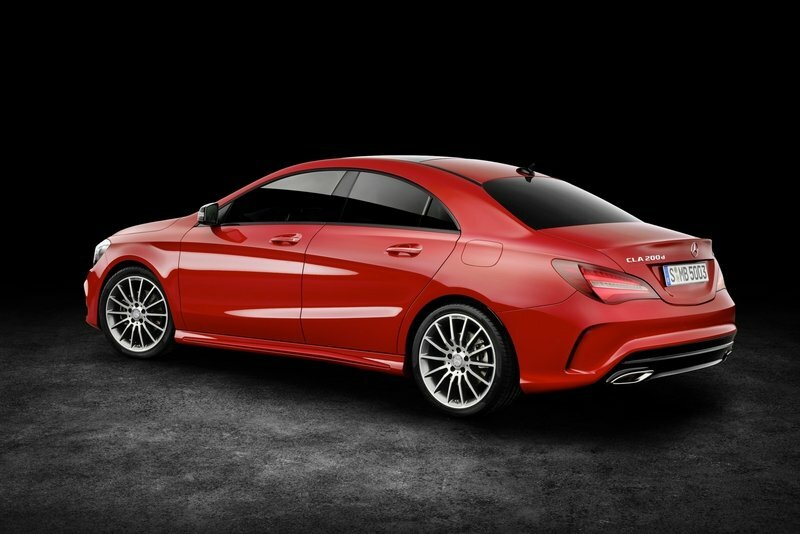 Launched at the 2013 Detroit Auto Show and updated for the 2017 model year, the Mercedes-Benz CLA (left) differs from the A3 Sedan and the 1 Series Sedan by featuring a coupe-like design. Sleek and aerodynamic, the CLA is actually a smaller CLS, which gives Stuttgart credit for inventing yet another niche. Thanks to its attractive design and luxurious interior, the CLA is already a success in both Europe and the United States. The mid-cycle update didn’t bring major changes on the outside, but it should keep the CLA fresh until the second-generation model will arrive to replace it. Mercedes-Benz was the first of the three German automakers to introduce its compact sedan. Audi joined the compact sedan party at the 2013 New York Auto Show by launching the A3 Sedan (right). 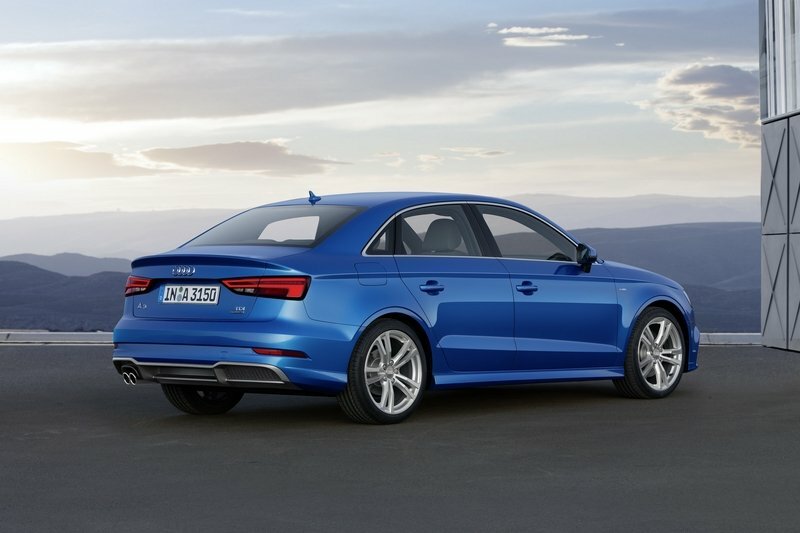 Slightly wider and lower than the A3 Sportback, the sedan comes with a reconfigured rear end that includes a traditional trunk area. Unlike the CLA, the A3 has a more standard three-box sedan configuration, which makes it a full-fledged competitor for the 1 Series Sedan. 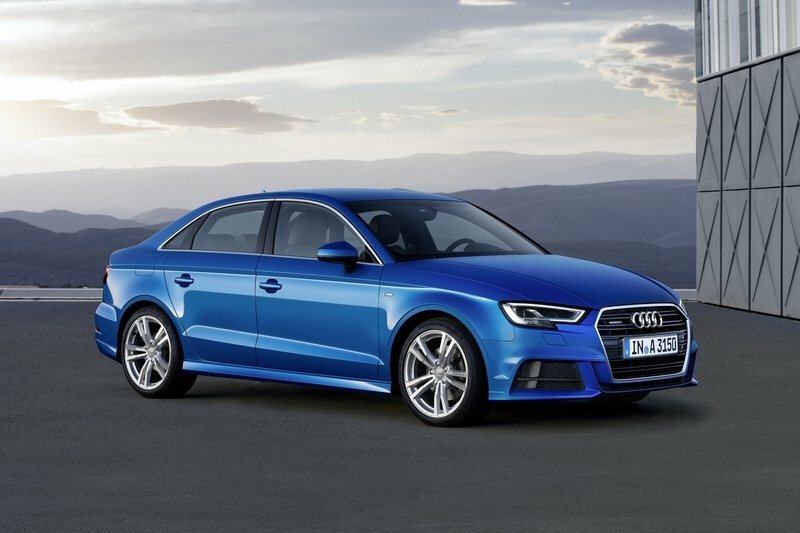 Renewed for the 2017 model year, the A3 Sedan boasts a fresh exterior design with sportier, angular lines. Although it might not be as sleek as the CLA, the A3 Sedan has an attractive design that’s also surprisingly stylish given its size. 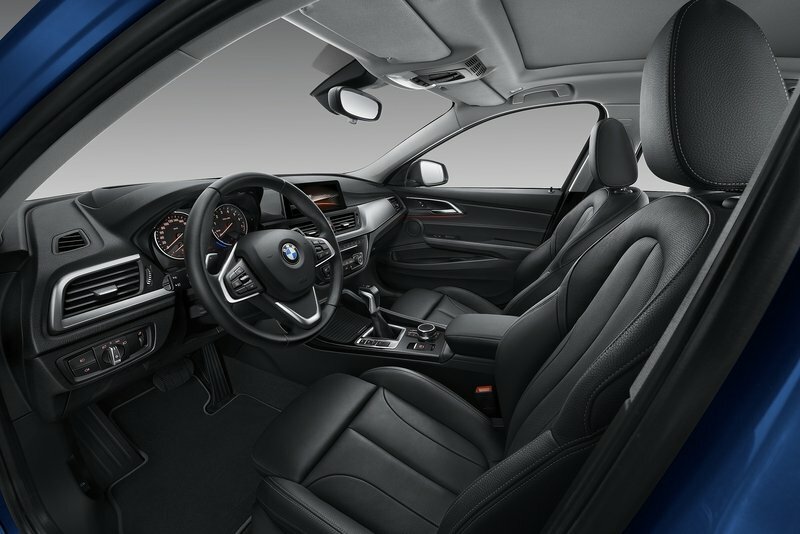 The interior of the sedan is also based on the hatchback, but BMW revised many features to give the cabin a unique look. The interior of the sedan is also based on the hatchback, but BMW revised many features to give the cabin a unique look. The dashboard is actually very similar in design and the infotainment screen sits atop the center stack just like in the hatchback. The dash trim is positioned in a similar way on the upper section, while the A/C vents are about in the same position. However, the latter have been reshaped and have a fresh, attractive design. The controls on the center console have also been revised and it appears that the sedan has more storage room in front of the gear shifter. The door panels and the seats are also new, but the steering wheel and instrument cluster appear to be similar to the hatchback model. 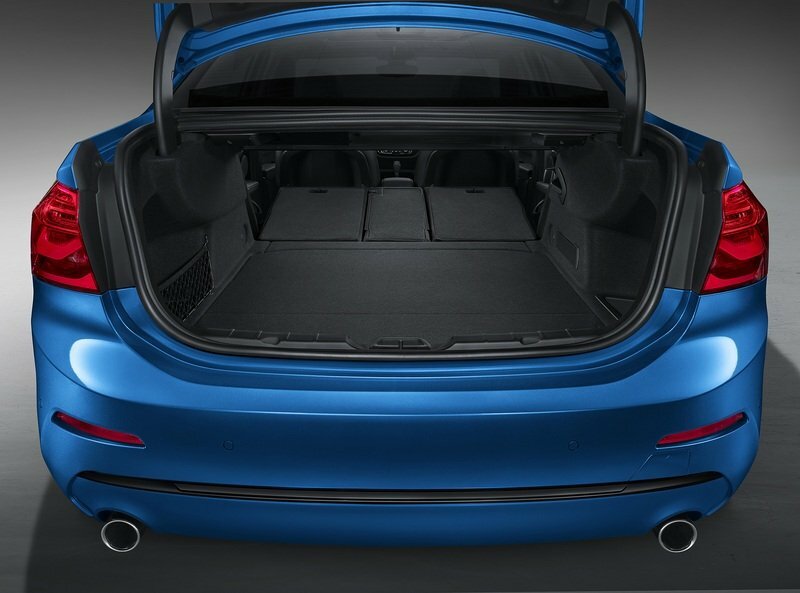 Styling-aside, the 1 Series Sedan comes with an optimized rear compartment improved passenger room. BMW says it created a model-specific version of the rear seat, as well as repackaged the interior in order to obtain more legroom and headroom. 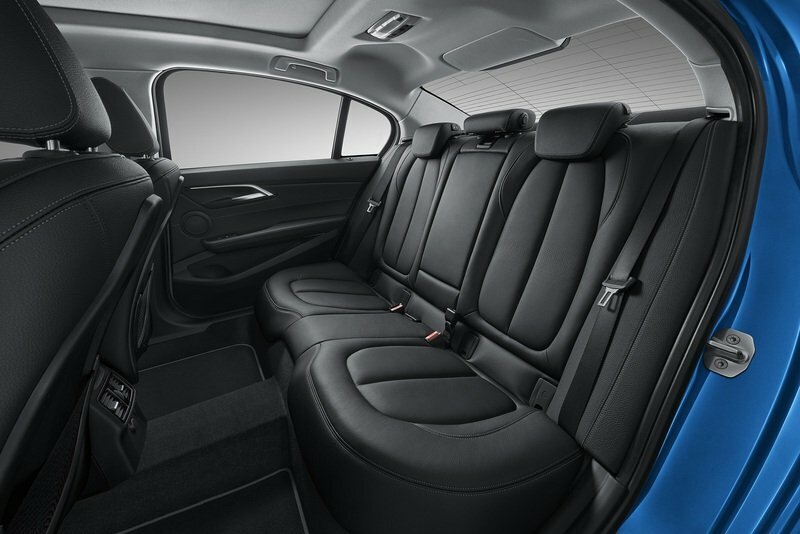 It’s common fact that Chinese buyers prefer spacious interior — this is why many premium brands sell unique LWB models there — so it’s not surprising that the 1 Series Sedan is roomier than the hatchback. 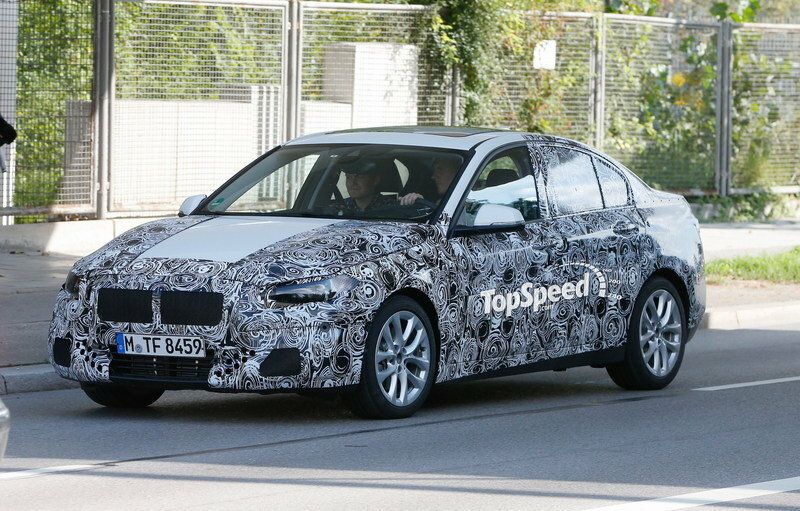 BMW didn’t publish interior specs as of this writing, but a quick photo comparison with the hatchback reveals there’s quite a bit of extra legroom in the rear and that the center console no longer extends on the rear tunnel. The sedan features the iDrive operating system with a large on-board computer in flatscreen design and a controller in the centre console. Moving over to tech, the 1 Series Sedan is well equipped in standard trim and includes the iDrive operating system featuring a large on-board computer in flatscreen design and the controller in the centre console. An automatic air conditioning system with optimized acoustic properties is also standard. The A/C is a model-specific heating and ventilation system adapted to the specific climatic conditions in China, offering a highly effective air filtering function to buyers living in the countries large and very polluted cities. A range of new apps allow seamless integration of numerous infotainment, navigation and communication services in the vehicle’s operating system, while BMW Connected gives the driver a mobility assistant that provides support in arriving at a destination. The flexible Open Mobility Cloud platform allows smartphones, tablets, and smart watches to be connected to the vehicle. Based on real-time traffic data, BMW Connected not only calculates the ideal route but also the perfect departure time, notifying the driver on its personal device. Additionally, BMW offers a range of optional driver assistance systems, including collision warning with city brake function and parking assistant. Although it’s four years old as of 2017, the CLA’s interior (left) doesn’t reveal its age and I think Merc offers the most appealing cabin in this segment. Available in various color and trim selections, it has a floating eight-inch display, a sporty instrument cluster with red needles. A Smartphone Integration Package is optional and brings Apple CarPlay and Android Auto into the cabin. This allows integration with both iPhone and Android devices and enables voice-operated control of each. Mercedes-Benz offers the most appealing cabin in this segment. Moving over to the A3 Sedan, even though the exterior gained significant changes, the interior carried over with minor improvements. However, the sleek dashboard with the round A/C vents and the narrow center stack with a clean design give it a unique look compared to both the 1 Series Sedan and the CLA. The big news lies in the tech department. The A3 Sedan now sports a digital, 12.3-inch instrument cluster that displays navigation phone, radio, and audio system information. The MMI system has also gotten an upgrade, featuring a new menu structure that is similar to that of smartphones, a seven-inch screen, and a 4G LTE connection. MMI Navigation and MMI Touch are optional and add Google Earth and Google Street, as well as real-time traffic information. The 1 Series Sedan will go on sale with three distinct engines, all sourced from the automaker’s Euro- and U.S.-spec products. The range begins with the 118i model, which uses the 1.5-liter three-cylinder engine offered in the 2 Series Active Tourer, X1, and Mini Cooper. The unit cranks out 136 horsepower and 220 Nm (162 pound-feet) of torque through a six-speed transmission and hits 100 km/h (62) mph from a standing start in 9.4 seconds, while top speed is limited to 212 km/h (132 mph). This sedan has a combined fuel consumption of 5.5 liters per 100 km and a combined CO2 figure of 132 grams per km. 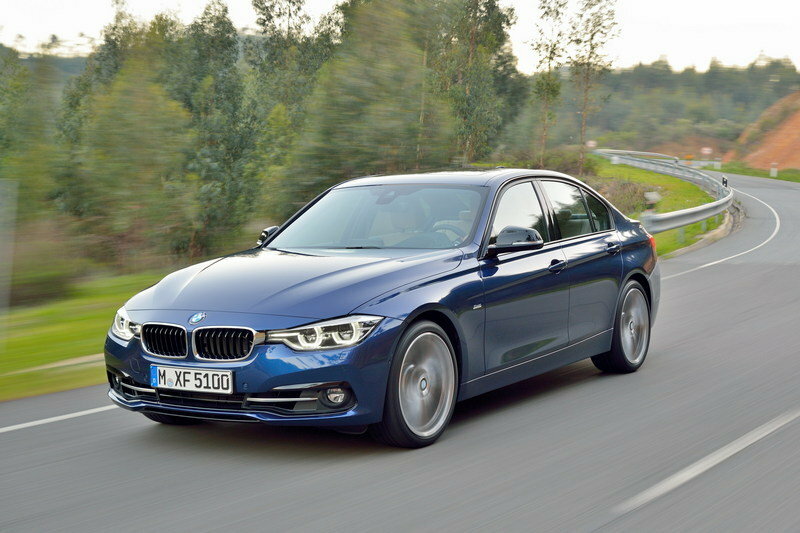 The 118i is the first ever 1 Series to use a three-cylinder powerplant. The range begins with the 118i model, which uses a 1.5-liter three-cylinder engine. Next up is the 120i, which uses a 2.0-liter four-cylinder to move about. The turbocharged four-pot is rated at 192 horsepower and 280 Nm (207 pound-feet) of twist and mates to an eight-speed automatic transmission. It accelerates from zero to 62 mph in 7.5 seconds and reaches a top speed of 235 km/h. The 120i Sedan needs 6.2 liters of gasoline to run for 100 km and emits 148 grams of carbon-dioxide per km. Finally, the range-topping 125i model uses the same 2.0-liter four-cylinder, but uprated at 231 hp and 350 Nm (258 pound-feet) of torque. Also connected to an eight-speed automatic as standard, this version hits 62 mph in 6.8 seconds, to go with a top speed of 250 kmh. Average fuel consumption is rated at 6.4 liters per 100 km, while the combined CO2 figure is of 152 grams per km. Each model is fitted with three driving modes — Comfort, Sport, and Eco Pro — selectable via a button located in the center console. The modes enable the driver to use sporty, comfort-oriented or efficiency optimized vehicle setups. There’s no word of a sportier M135i versions that’s available for the hatchback model, but BMW will probably launch one in 2018. All three cars have plenty of engine options. The American version of the sedan can only be had as the CLA250. This means power is provided by a turbocharged, 2.0-liter, inline-four rated at 208 horsepower and 258 pound-feet of torque that is mated to a seven-speed, dual-clutch transmission. The powerplant also comes with a stop/start function to help push fuel economy to 38 mpg on the highway and 26 mpg in the city. In China, however, the CLA is available with four powerplants. The CLA 180 with 122 horsepower and 200 Nm (147 pound-feet), the CLA 200 with 156 horsepower and 250 Nm (184 pound-feet), the CLA 220 with 184 horses and 300 Nm (221 pound-feet), and the CLA 260 with 211 horses and 350 Nm (258 pound-feet). Much like the CLA, the U.S.-spec A3 Sedan is also available with just one engine, in this case a turbocharged, 2.0-liter four-cylinder rated at 220 horsepower and 258 pound-feet. But Chinese customers have access to more drivetrains, including a 1.4-liter four-cylinder with 147 horsepower and a 1.8-liter four-pot with 177 horses. 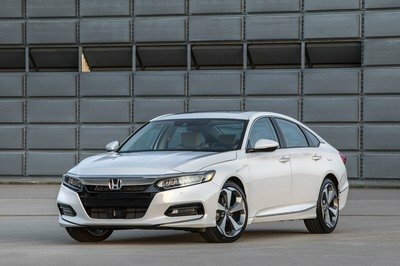 All told, all three cars have plenty of engine options, ranging from low-output models focused on fuel economy to higher output cars that offers better performance. 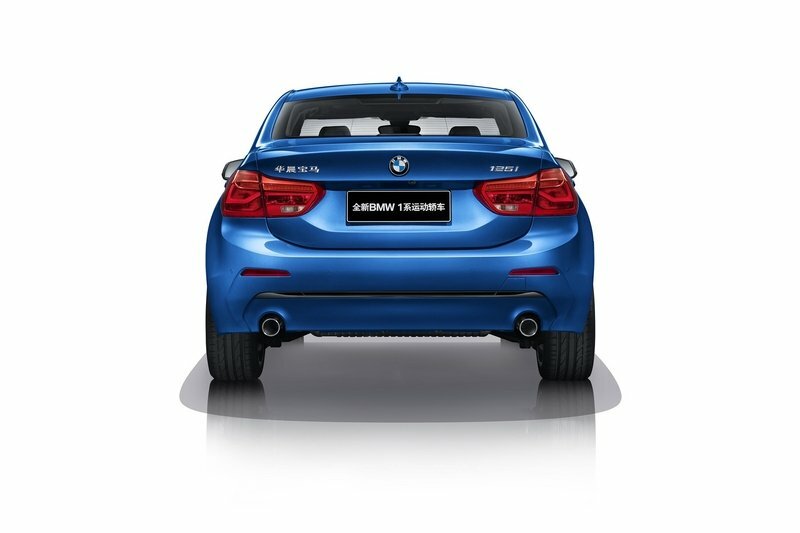 Pricing for the 1 Series Sedan starts from CNY204,800 (about $29,820 as of February 2017) for the base 118i model. That’s CNY51,200 ($7,450) less than the corresponding 118i hatchback model and a rather surprising decrease, as the sedan was originally rumored to cost more than the five-door model. Pricing for the more expensive trims is not yet available, but the 120i should start from around CNY255,000 (around $37,120), while the 125i should fetch around CNY310,000 (about $45,130) before options. Chinese pricing for the CLA starts from CNY247,000, which converts to around $35,960 and makes the Merc significantly more expensive than the competition. For this amount, buyers get the CLA 180. The CLA 200 retails from CNY267,000 ($38,870), while the CLA 220 comes in at CNY319,000 ($46,440). The range-topping CLA 260 version fetches a whopping CNY378,000 ($55,030) before options. Arguably the most affordable proposition, the A3 sedan starts from CNY190,900 ($27,790) in China for the base 35 TFSI Vogue trim. Upgrade to the 40 TFSI Design with the more powerful engine and the sticker jumps to CNY253,900 ($36,960). Finally, the range-topping 45 TFSI S Line Luxury model retails from CNY304,800 ($44,374). 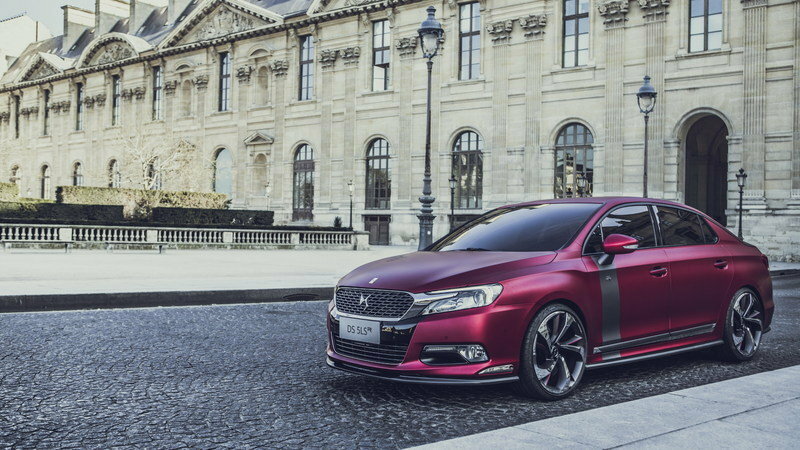 Launched under Citroen’s premium DS brand, the DS5 LS was specifically developed for the Chinese market and it’s aimed at German compact sedans, including the ones compared above. 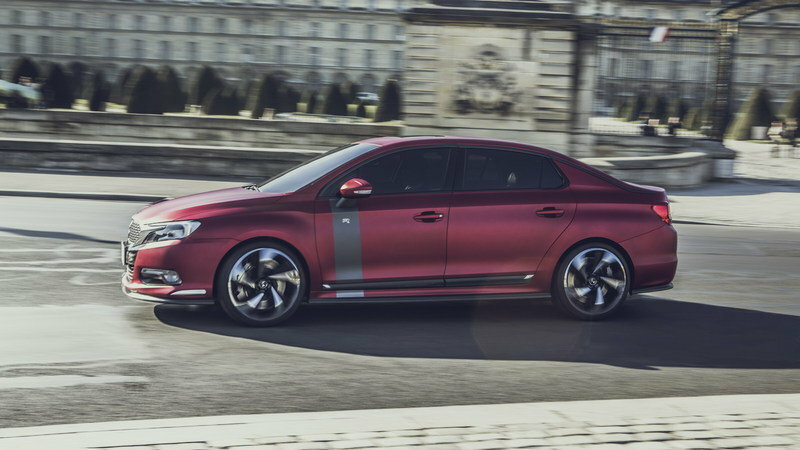 Although its styling is unique and somewhat flamboyant thanks to the chrome inserts in its front fascia, the DS5 LS isn’t exactly the car that will make you forget about Bimmers and Mercs. Although well equipped on the inside and fitted with some premium materials, the French sedan feels a bit old. More importantly, it’s rather cramped in the back, while headroom is also far from impressive. Drivetrain-wise, it’s the only proposition that offers a hybrid model, which pairs a 163-horsepower, 2.0-liter diesel with a 28-kW electric motor. Unfortunately for Citroen, hybrids are still struggling to gain sales in China. The other option is a 1.6-liter turbo-four rated at 161 horsepower. The DS5 LS is on the more affordable size of the market, starting from CNY146,900 ($21,390). The range-topping version comes in at CNY246,900 ($35,950). Find out more about the Citroen DS5 LS here. 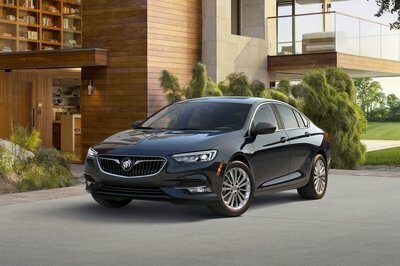 Granted, Buick is no longer in a position to compete against products from Audi, BMW or Mercedes-Benz (some say it’s just a glorified Chevy), but the American brand is incredibly popular in China and the Verano is selling like hotcakes. Redesigned for 2016, the Verano gained a more stylish exterior with a massive "waterfall" grille flanked by LED headlamps. 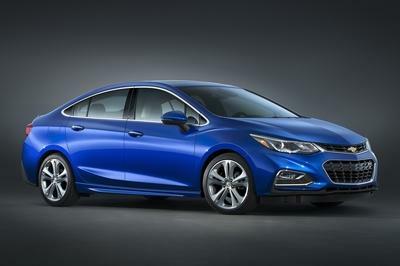 The beefed-up rear haunches give it a sporty stance, while the rear reminds of the Euro-spec Opel Astra it is based on. Although the U.S. model is available with a naturally aspirated 2.4-liter four-cylinder and a turbocharged, 2.0-liter four-pot, the Chinese version gets its juice from a much newer 1.5-liter Ecotec mill. 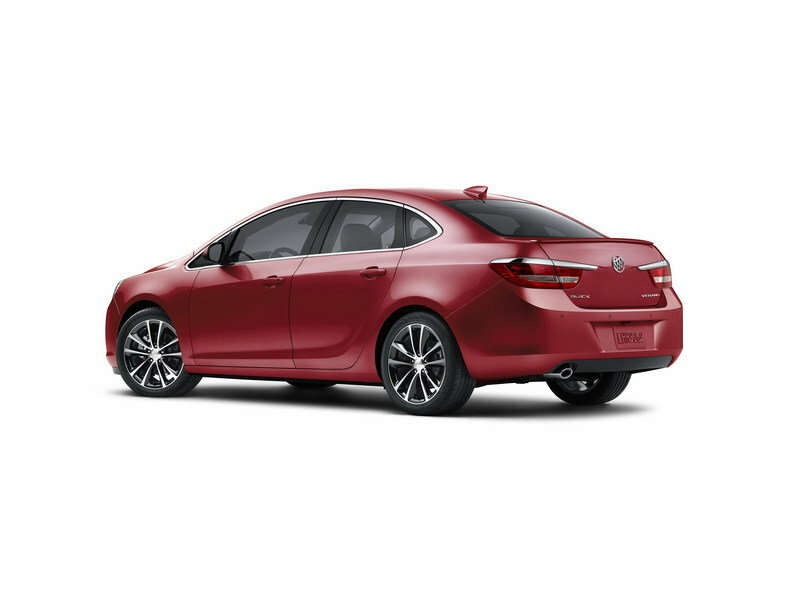 The turbocharged unit cranks out 117 horsepower and 108 pound-feet of torque, pushing the Verano from 0 to 62 mph in 12.2 seconds. 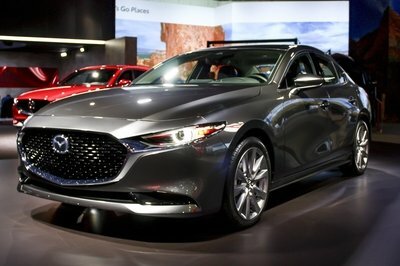 The 2.0-liter turbo generates 166 horsepower and 184 pound-feet and returns a 0-to-62 mph sprint of 8.8 clicks. Pricing starts from CNY135,900 (about $19,790) for the 1.5-liter model and from CNY162,900 ($23,720) for the 2.0-liter turbo version. The range-topping model comes in at CNY199,900 ($29,100). 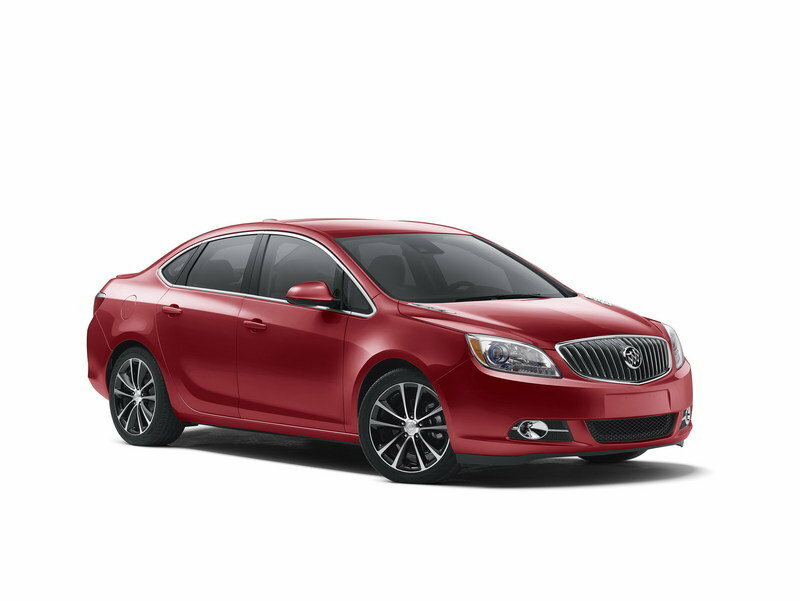 Find out more about the Buick Verano here. 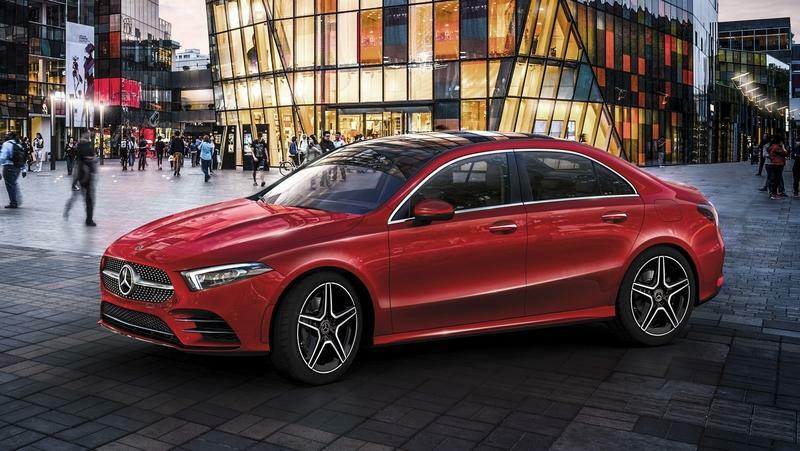 The reason why there’s a second Mercedes model in this comparison is that the A-Class Sedan was launched after the 1 Series Sedan was introduced in China. Previewed by a concept car, the A-Class Sedan was unveiled in production form in April 2018. 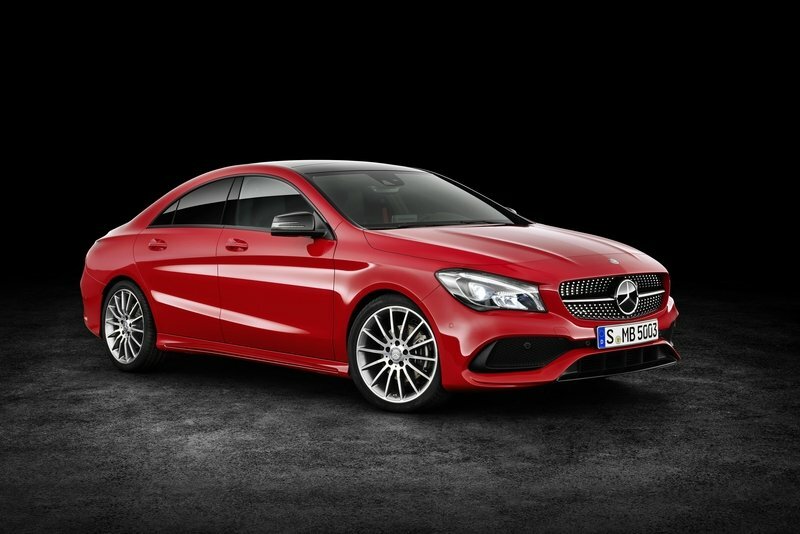 It’s based on the latest A-Class hatchback and boasts an exterior design borrowed from the CLS. Inside the cabin, it sports many cues taken from the CLS and plenty of high-end tech that the competition doesn’t offer, including the new MBUX infotainment system and semi-autonomous active safety features. Power is provided by a 1.3-liter four-cylinder engine that generates 134 horsepower in the base model and 161 horses and the mid-range version. A 2.0-liter four-cylinder with 188 horsepower will be added to the lineup by the end of 2018. Pricing information is not yet available, but the A-Class L Sedan should retail from around CNY210,000. Read our full review of the 2019 Mercedes-Benz A-Class L Sedan. It may seem that the 1 Series sedan is a bit late to the party given that the Mercedes-Benz CLA has been around for five years already, but it’s never too late to bring a sedan that’s luxurious and affordable to the market. It remains to be seen whether the 1 Series Sedan will become successful in China, but I’m confident that if BMW plays its cards right, the Mercedes CLA and the Audi A3 sedan could suffer a serious blow in the long run. 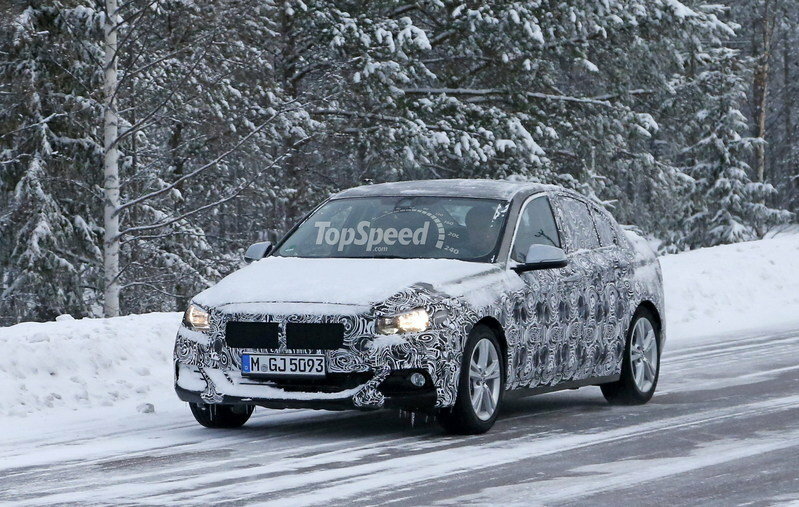 On the other hand, for that to happen BMW needs to make the 1 Series Sedan available outside China as well. And to be honest, I think that this tiny four-door could become popular in Europe, and even in the U.S. too. Heck, the CLA is selling like hot cakes in North America I don’t see why the 1 Series Sedan wouldn’t become as popular. Not only it’s good looking, but it has an attractive engine lineup too. Updated 09/11/2014: We have prepared a new rendering for you showing the future 1 Series Sedan. It features the latest BMW design language, that includes the updated headlamp style that run into the grill. Check it out after the jump. 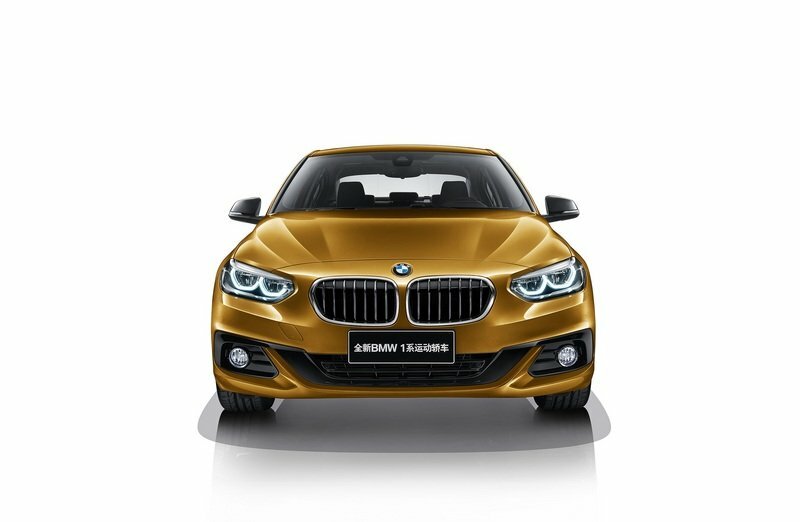 Today’s market launch of the BMW 1 Series sedan extends the range of the German premium brand to include a model tailored specifically to meet the needs of Chinese customers. 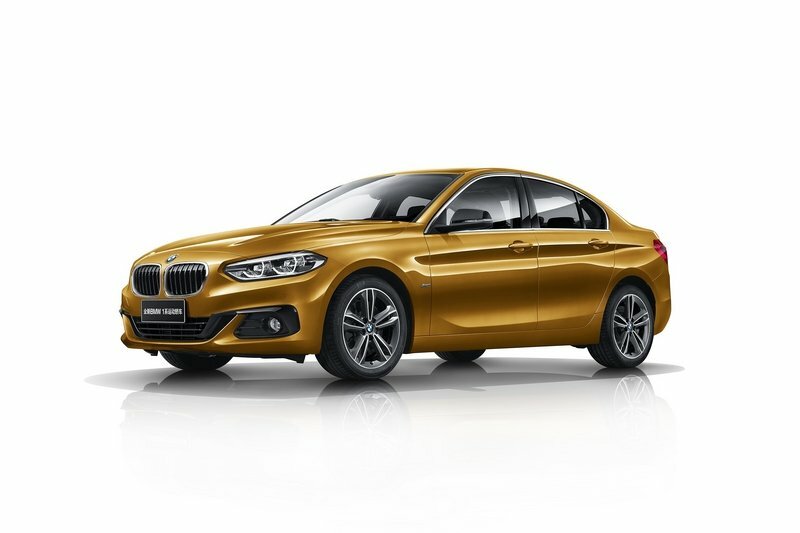 The BMW 1 Series Sedan with its hallmark sporty flair and market-specific overall concept is a highly emotional new entry to the compact premium vehicle segment that is seeing such high potential in China. 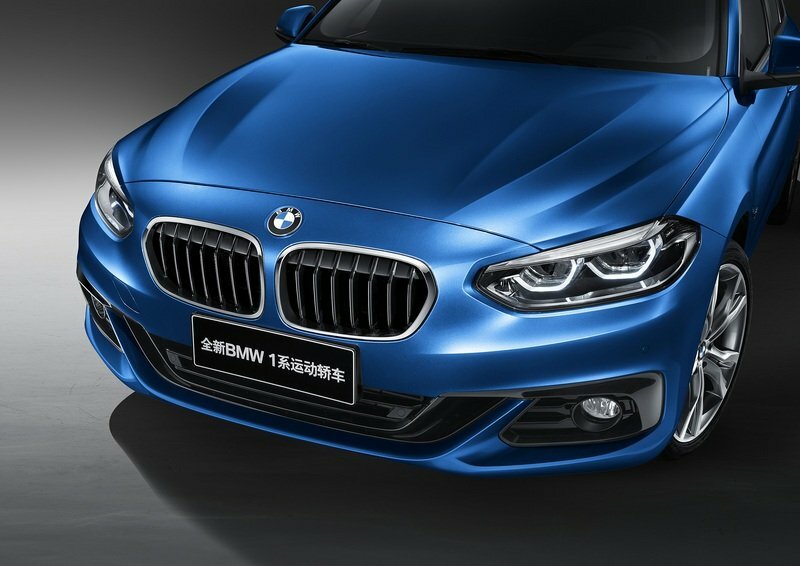 The new model is offered exclusively for the Chinese automotive market by the BMW Group and BMW Brilliance Automotive Ltd. 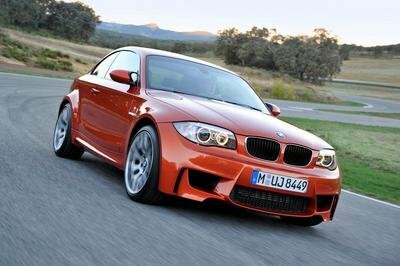 The BMW 1 Series Sedan was developed at BMW headquarters in Munich with the support of Chinese engineers. The vehicle concept, and equipment are geared towards the specific requirements of modern target groups in China as well as the road and traffic conditions there. During development for volume production, the new model underwent intense testing and harmonisation both globally like on the Nürburgring as well as in the wide-ranging climatic and road conditions to be found in China so as to ensure a level of everyday suitability and driving pleasure that is oriented towards the real environment in which it will be used. The BMW 1 Series Sedan is manufactured as part of the joint venture between the BMW Group and BMW Brilliance Automotive Ltd. at the Tiexi plant opened in 2012 which forms part of the Shenyang production site in the north east of China. Other models of the brand designed specifically for the Chinese automotive market are also produced in Shenyang. Vehicle production in Shenyang is subject to the same rigorous quality standards that apply throughout the entire worldwide BMW Group production network. Compact sedan with the sporty flair characteristic of BMW. The vehicle concept of the BMW 1 Series Sedan is precisely tailored to the preferences of Chinese customers. With its notchback body in characteristic three-box design, the new model reflects the style preferred by such customers in numerous vehicle categories. A special program of BMW products has been assembled in response to the popularity of sedans in China. 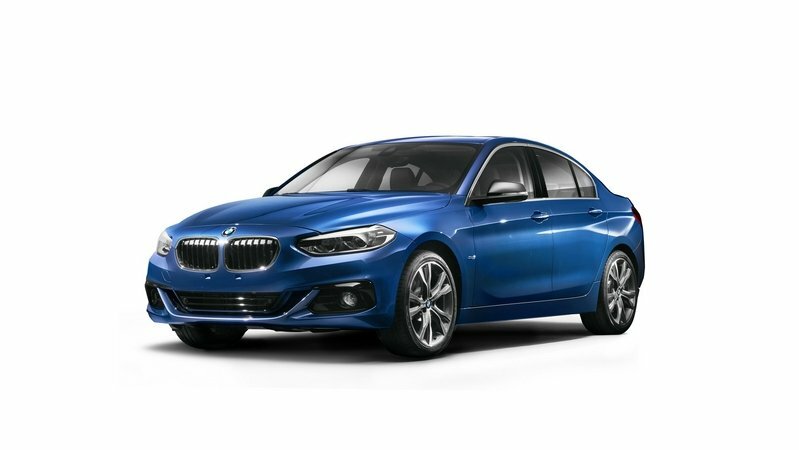 BMW 3 Series and BMW 5 Series Sedans are also available in a long version developed exclusively for the Chinese market and manufactured at the Shenyang production site. 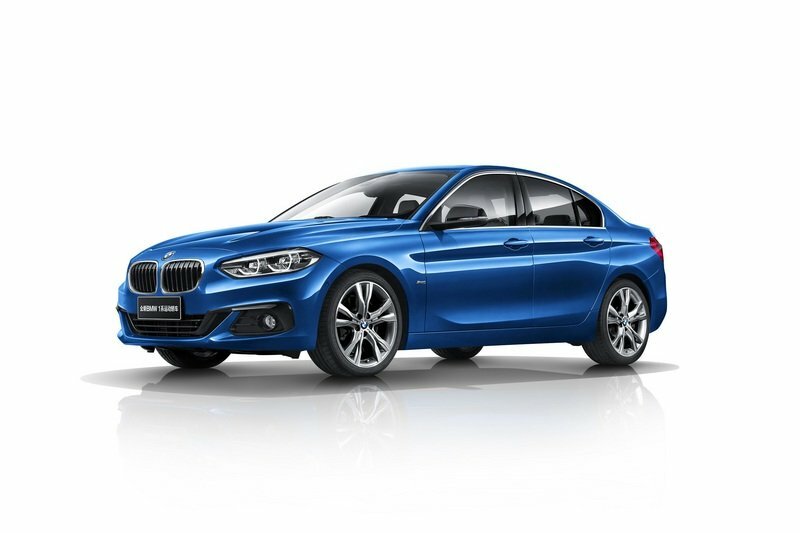 As a supplement to the 5-door hatchback BMW 1 Series models produced in Germany, the brand now adds a sedan to its range in the premium compact segment that was conceived especially for China and solely produced there. 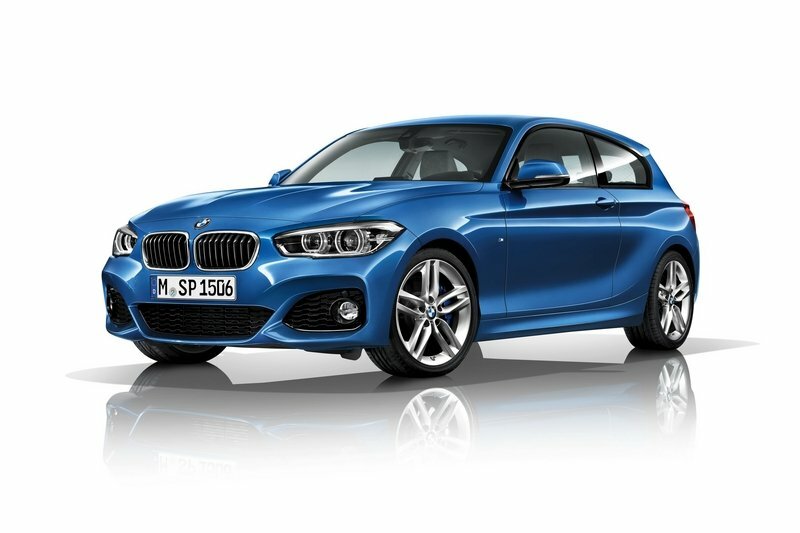 The BMW 1 Series Sedan represents the brand’s hallmark combination of sporty flair and elegance while also offering best in segment ride comfort, luxurious equipment and progressive connectivity technology that is exceptional for the compact segment. With these qualities, it is a particularly attractive model for young target groups seeking access to the world of BMW premium automobiles. 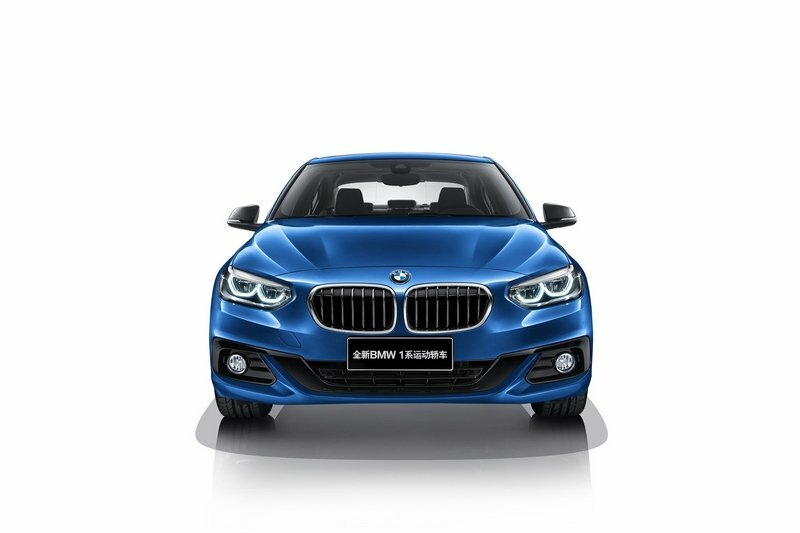 The sporty elegance of the BMW 1 Series Sedan, unique in the premium compact segment, is reflected in both the proportions and the lines of its body. 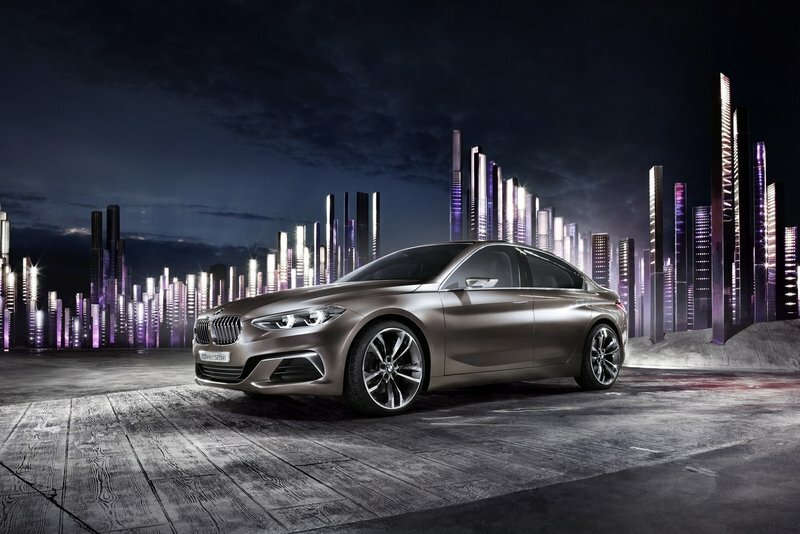 An unmistakable appearance is especially created by applying the characteristic design features of BMW sedans to the new model’s compact exterior dimensions with a length of 4 456 millimetres, a width of 1 803 millimetres and a height of 1 446 millimetres. Short overhangs, a long engine compartment lid, a passenger cell that is set back and a long wheelbase of 2 670 millimetres give the BMW 1 Series Sedan an elongated, sporty look. The distinctive body line rises constantly from the front wheel arch via the door openers to the rear lights, additionally emphasising the dynamic orientation of the car’s silhouette. The hallmark brand features of the front section include the wide radiator grille, large air inlets and twin circular headlights with state-of-the-art LED technology. The rear of the BMW 1 Series Sedan sports a model-specific design dominated by horizontal lines which underscore the vehicle’s width and supreme road holding. The rear lights protruding far into the side section to form a characteristic L shape likewise emphasise the car’s powerful appearance. 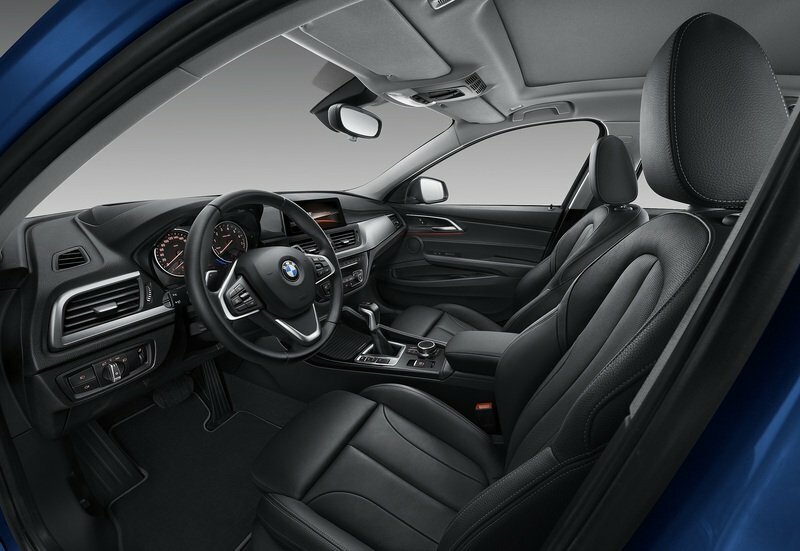 The interior of the BMW 1 Series Sedan offers the perfect basis for intense driving pleasure and enjoyable travel. The cockpit is driver-oriented in design as is typical of BMW automobiles. Both the seating position and the arrangement of the display and control elements enhances concentration on the road. The iDrive operating system featuring a large on-board computer in flatscreen design and the controller in the centre console is a standard feature of the BMW 1 Series Sedan. The horizontal lines of the instrument cluster continue on into the door trim panels, thereby creating an impression of smooth harmony, while also contributing to the generous sense of space. The modern and sporty character of the BMW 1 Series Sedan is reflected in the engine portfolio available at the model’s market launch. There is a choice of three power units of the BMW Group’s latest generation. Their weight-optimised aluminium construction and the current version of BMW TwinPower Turbo Technology ensure exceptional revving power and torque in addition to exemplary efficiency. The technology package consists of turbocharging, petrol direction injection with centrally positioned injectors, and variable valve control in the form of VALVETRONIC as patented by the BMW Group, and variable camshaft control on the intake and exhaust side (double VANOS). This combination results in particularly sporty performance characteristics in the 2.0-litre 4-cylinder engine of the BMW 125i Sedan. It mobilises a peak output of 170 kW/231 hp and a maximum torque of 350 Newton metres that goes on stream at 1 250 rpm. Fitted as standard with an 8-speed Steptronic transmission, the BMW 125i Sedan sprints from standing to 100 km/h in 6.8 seconds, achieving a cut-off top speed of 250 km/h. These performance figures are combined with an average fuel consumption of 6.4 litres per 100 kilometres and a combined CO2 figure of 152 grams per kilometre. 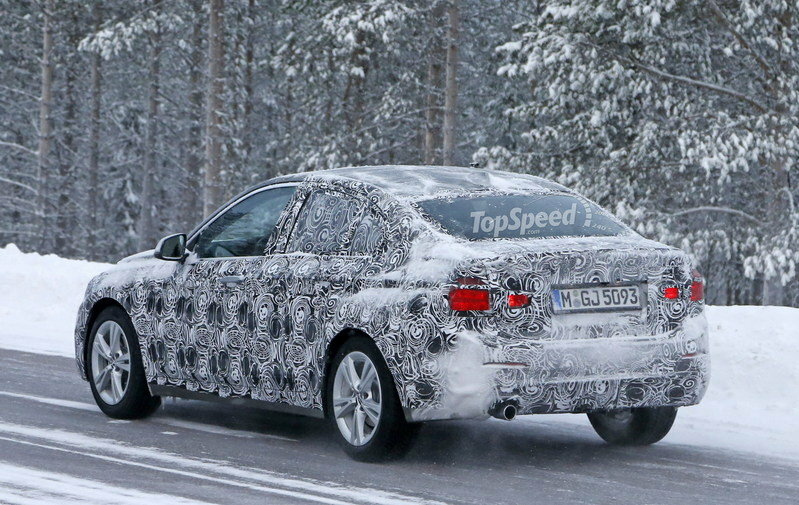 Another 2.0-litre 4-cylinder engine is fitted in the BMW 120i Sedan. With a peak output of 141 kW/192 hp and a maximum torque of 280 Newton metres of 1 250 rpm, it also ensures sporty performance figures. In combination with the 8-speed Steptronic transmission – likewise a standard feature – it accelerates from zero to 100 km/h in 7.5 seconds and reaches a top speed of 235 km/h. The combined fuel consumption of the BMW 120i Sedan is 6.2 litres per 100 kilometres, while the figure for combined CO2 emissions is 148 grams per kilometre. 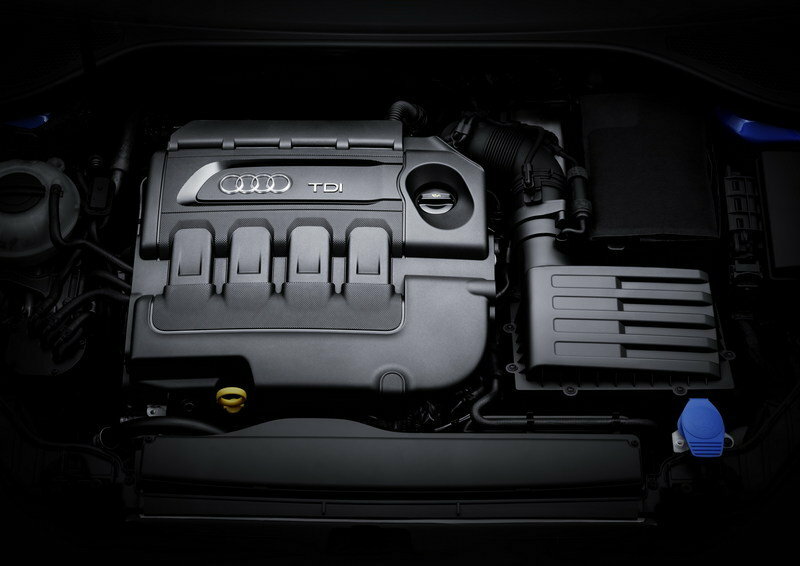 The engine range is rounded off with a 3-cylinder power unit for the BMW 118i Sedan. From a capacity of 1.5 litres it generates a peak output of 100 kW/136 hp, while its maximum torque of 220 Newton metres is available at 1 250 rpm. Fitted with a 6-speed Steptronic transmission, the BMW 118i Sedan takes 9.4 seconds to accelerate from zero to 100 km/h and its top speed is 212 km/h. The efficiency of the engine is reflected in a combined fuel consumption of 5.5 litres per 100 kilometres and a combined CO2 figure of 132 grams per kilometre. The driving properties of the new BMW 1 Series Sedan are characterised by athletic flair, ride comfort and safety. A perfect basis is provided for this by means of power transmission to the front wheels, an almost equally balanced axle load distribution and the weight-optimised design of the body and suspension. The suspension set-up is not just geared towards the sporty character of the model but also meets high demands in terms of comfort. The suspension and damping are designed to ensure occupants experience as relaxed a ride as possible on all road surfaces. Optimised acoustic comfort is taken care of by such features as a fully panelled underbody and tyres with reduced rolling resistance. Powerful disc brakes and an electromechanical power steering including Servotronic speed-related support help achieve a precisely controllable driving response. Dynamic Stability Control DSC offers a broad range of functions that contribute to secure handling at all times. Light alloy wheels in a size of 17 inches for the BMW 118iSedan (16 inches for BMW 118i Lifestyle) and 18 inches for the two other model variants come as standard. The torsionally stiff body structure of the BMW 1 Series Sedan benefits both agility and occupant protection. The safety concept also includes precisely defined load paths and generous deformation zones which serve to divert and absorb impact forces in the event of a collision. The interior provides a comprehensive range of safety features including not just front and side airbags but also side head/curtain airbags and three-point automatic safety belts on all seats. All model variants come off the production line as standard fitted with tyres featuring emergency running properties. The standard driving experience switch in the centre console enables a vehicle-set-up which is either markedly sporty, comfort-oriented or efficiency optimised in character – entirely according to preference. The modes COMFORT, SPORT and ECO PRO are available at the press of a button. In addition, the standard features of the BMW 1 Series Sedan also include automatic air conditioning with optimised acoustic properties. This forms part of a model-specific heating and ventilation system which is also adapted to the specific climatic conditions in China, offering not just high performance but also a highly effective air filtering function. In addition to numerous other comfort functions, the program of optional items includes a broad range of exterior paint finishes, light alloy wheels, interior colours, seat surfaces and interior trim finishers which allow customers to individualise the design of the BMW 1 Series Sedan to suit their personal preference. The Sport Line and Luxury Line models are available as an alternative to the basic version. Their design features for the exterior and interior allow selective customisation that lends particular emphasis either to the BMW 1 Series Sedan’s agile sporty flair or its exclusive appearance. Intelligent connectivity gives the BMW 1 Series Sedan a range of online-based functions that is unique even beyond the compact segment. Apps allow seamless integration of numerous infotainment, navigation and communication services in the vehicle’s operating system. What is more, BMW Connected gives the driver a personal mobility assistant which provides wide-ranging support in arriving at a destination conveniently and stress-free. The flexible platform Open Mobility Cloud allows various customer end devices such as smartphones, tablets and smart watches to be connected to the vehicle. This means that personal schedule entries can be used to plan a trip before getting into the car, for example. Based on real-time traffic data, BWM Connected not only calculates the ideal route but also the perfect departure time, providing the driver with a notification on their end device in good time.